Tired of waking up and having to wait for your morning java to brew? Are you one of those groggy early morning types that just needs that extra kick? 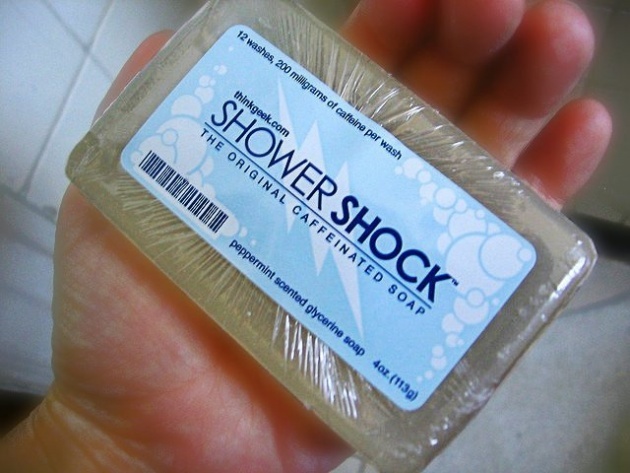 Apparantly, caffeine can also be absorbed through the skin and Shower Shock, a caffeinated bar soap, offering 200 milligrams of caffeine per "serving."